Green Homes can work with you in a variety of ways to design and build your new home. If you bring us a finalized house plan that you have already chosen, we can usually begin construction in 3-4 weeks. We will have a pre-construction meeting to discuss the budget and details for your home. A total cost estimate will be prepared so that you can be sure your home fits into your budget. If you are already working with an architect, Green Homes can be your intermediary. Sometimes that means we're asking you some tough questions and pointing out some hard truths. For example: Yes, a wrap around porch would be lovely, but is it in the budget? Yes, you can build on a hillside lot, but it will cost a whole lot more to prepare the site for construction. 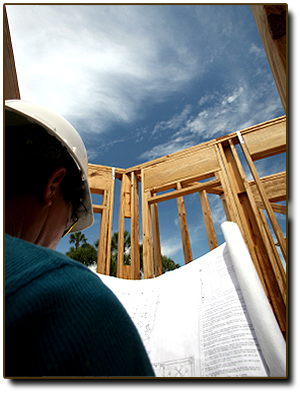 If you do not have an architect or a ready-to-build plan, we will work directly with you to design your home. You can choose an existing Green Homes floor plan, customize a floor plan to suit your needs, or work with our team to design an original floor plan that is exclusively your own. With computer-assisted design software and email, you are able to view revisions to your floor plan, modify design elements and sign off on changes quickly and conveniently. This makes the design process practical, efficient and user-friendly for our homeowners. With a blend of new technology and deep knowledge of home building, Green Homes turns your ideas into designs and your blueprints into a beautifully finished home. Green Homes cares about your experience with your new home and is here to help address issues you may encounter. Homeowners should review their New Home Warranty Manual before submitting claims.